The tests and trial recording of graphic prints with the oscilloscope modulation interface took place in 1976 and 1977 (dates unknown). 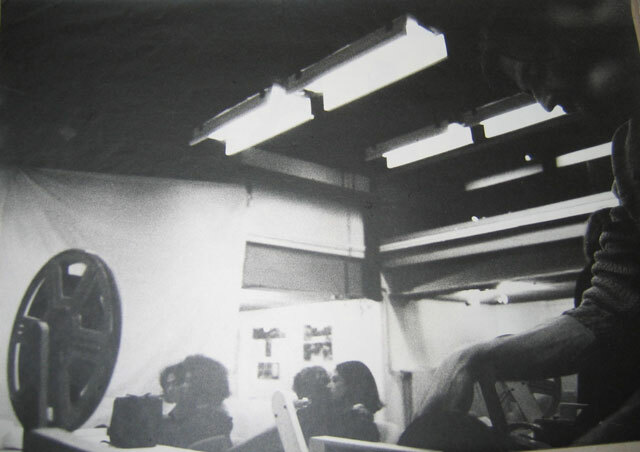 The first recording took place in Studio 1, second and third took place in Studio 2. Studio - 3 Philips LDK 5 cameras; Studio 2 control room, video mixer Central Dinamics 2000, post-production and archiving on Ampex AVR 2 /2 inch tapes, video graphics rendered with Tectronics modulator and oscilloscope, variable signal quality and frequency area drop outs with VCR Philips 1500 (first general use recorder and player). VCR Philips 1502 was used to play the four tapes in Jakopič’s pavilion. in two years 18 tapes were recorded and the total duration of the performance amounted to 28 minutes. From this 9 minutes were made by each camera for each of the three performers individually. 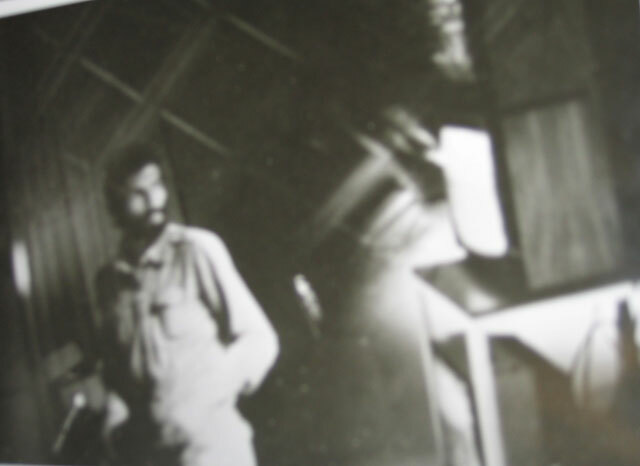 From this three edited and merged tapes from every recording and two video graphics tapes were made in the total duration of two hours. 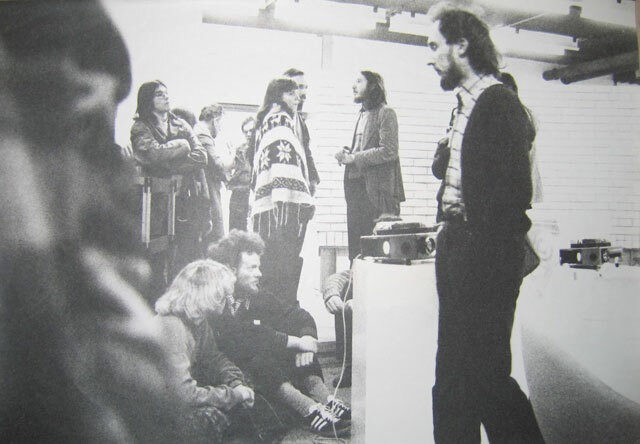 The final version of the five tapes from 1979 was merged for the installation in Jakopič’ pavilion (4) and for broadcasting within the regular TV schedule (1). Today TV Slovenija has a single preserved copy of the original broadcast that took place within the regular TV schedule of what used to be RTV Ljubljana. During the transcription of the outdated video formats all originals and final merged versions of Videogram 4 were destroyed. A copy of tape 5 was transferred onto Beta SP format, and was preserved merely by chance by one of the television employees, as a collector’s item.